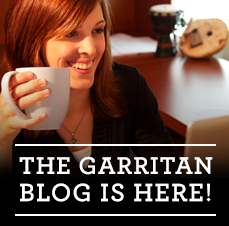 Who uses Garritan Software Instruments? A few years ago, U2 played to a sold out house at the Rose Garden Arena in Portland. This was the final show of the North American tour and over 20,000 people came from all over for this performance. We were given a rare backstage performance by keyboardist for the group, Terry Lawless. We were honored to hear the sounds of Garritan Personal Orchestra used throughout the show. Click the link below to read an account of our experience, complete with pictures from the concert and a backstage tour. Céline Dion’s A New Day Show concluded its successful run at the Colosseum at Caesars Palace in Las Vegas. We joined Dion’s keyboardist, Yves Frulla, at the show and took a backstage tour. Garritan Strings were used in the show. The INXS album Switch reached #17 on the Billboard charts within a few weeks of its release and sold over 75,000 copies in its first week. Garritan libraries can be heard on the songs “Afterglow”, “God’s Top Ten”, and “Remember Who’s Your Man” from this album. The Los Angeles Ballet presented twelve performances of the classic The Nutcracker Ballet. Twenty-two real musicians performed in this traditional, yet original production, along with thirty-three ‘virtual’ players provided by Garritan Personal Orchestra.